The meeting was held within the framework of cooperation of Zhumagali Arystan with Karaganda State Industrial University on the implementation of the unique project KazanNAN, authored by Zhumagali Arystan, aimed at reviving the national and spiritual values ​​of the family, culture of the Kazakh people, preserving and transferring family culture and traditions the younger generation. The implementation of the KazanNAN project originates in 2017 with the participation in the celebration of the Nauryz state holiday in Kostanay in 2017. A cauldron filled with the national dish Nauryzkozhe attracted the special attention of people and the city administration. The idea of ​​reviving the tradition of the ancestors, through the traditional Kazakh dishes filled with energy of the steppe and natural products produced in Kazakhstan, was successfully implemented. This project is now being actively implemented at KSIU. Through the implementation of the project “KazanNAN as a consolidating element of Turkic identity. Past, Present and Future ”a large educational work is being conducted to popularize Kazakhstani culture and traditions of the people among students of the KSIU and the youth of Temirtau, which is relevant in the light of the program article by Head of State N.A. 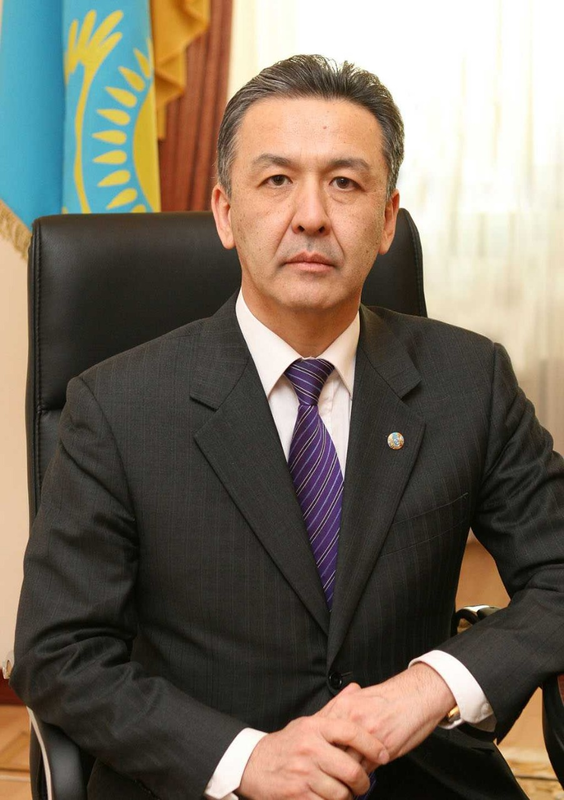 Nazarbayev “Seven Facets of the Great Steppe” and the program “Ruhani Zhangyru”. Earlier, a research was conducted at the university’s laboratory to study the chemical composition of an ancient cauldron found in Kostanay region. As a result of X-ray fluorescent analysis of the chemical composition on the Olympus DPO-2000 portable express analyzer, carried out in the “Laboratory of Engineering Profile of Electron Microscopy and Nanotechnology” of KSIU, it turned out that there are 7 chemical elements in the structure of cauldron. The result of the examination showed that the chemical elements present in the composition of the cauldron correspond to the modern standards for the manufacture of dishes of this nature. The results of the study were certified. In the framework of the meeting, the format of further cooperation was discussed, it is planned to release souvenirs in the form of cauldrons, joint research work, particular attention was paid to the study of ancient metallurgy, which in the article “Seven Facets of the Great Steppe” by N.A.Nazarbayev. Conducting social and cultural events, a key figure in which is a cauldron, cooking treats, organizing interesting meetings of people on the subject of cultural heritage, the revival of traditions, the introduction of the young generation to the traditions. Conducting cultural and familiarization theatrical performances in ethnic style “Legends at cauldron “. Production of printed materials on the theme of national dishes, traditions and customs of the Kazakh people.